In recent weeks, the FAIRWAY work package dealing with Legal Policy and Governance (WP6) have held an internal meeting in Oslo and discussed their results so far at the International Conference: Water Science for Impact. In Slovenia, the team has been shooting the footage for a short video in the Dravsko Polje case study. On 8 and 9 October 2018, WP6-participants met in Oslo for a work package meeting. Two Danish participants were present through Skype. A total of 15 participants presented progress in each task and discussed the way forward in terms of activities, participating partners and a time line for the coming months. We kindly acknowledge the hospitality of our Norwegian partner NIVA who organized this meeting very well. We discussed the preparation of phase 2 of the questionnaire of task 6.2 in more detail. This phase 2 will consist of a survey that will deliver the additional data to be used in most of the other tasks. INTERNATIONAL CONFERENCE WATER SCIENCE FOR IMPACT, Wageningen, 16-18 October 2018. 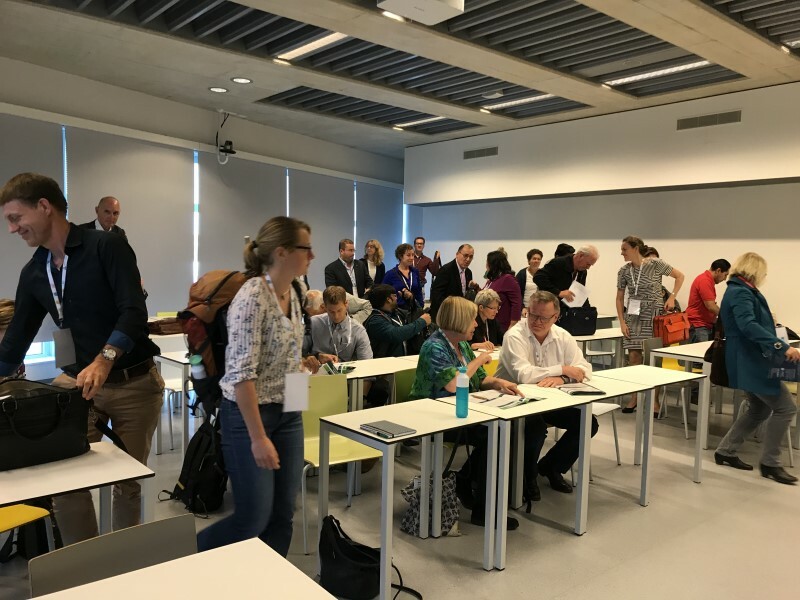 This international and multidiscipinary water conference was convened within the framework of the Wageningen University & Research 100 years centennial celebrations. The conference focused on the interaction between science and society in developing solutions for pressing water related problems as identified in the UN Sustainable Development Goals. FAIRWAY WP6 results so far were presented in a well-attended session on water governance. After a short general introduction on the FAIRWAY project, the aim and scope of the work package on governance was highlighted. Some very preliminary results and so-called ‘impressions’ were presented. These impressions revealed the extremely complex governance structures in countries, related to protection of water resources from pollution with nitrate and pesticides from agriculture. The governance structures were also highly diverse between countries. A significant part of these differences can be explained by historical, cultural and political differences between countries. Knowledge of these governance structures is necessary to be able to translate innovative local governance arrangements from our case studies to other regions in Europe and beyond, to be worked on in the coming years. Finally, the audience was invited to share their experiences with local governance arrangements. We received good examples from the Netherlands and New Zealand and a lively discussion arose about law enforcement. It was concluded that a mix of legal and voluntary instruments is possibly the best way forward for effective protection of drinking water resources. In mid-October, the Slovenian team were on location in Dravsko Polje, shooting the footage for a short video.